C2TN has a Blog devoted to outreach. It is entitled “O αlfaβeto das Radiações” (the alphabet of radiations). You can follow it here, and learn a bit more about it here. All about us on a daily basis. 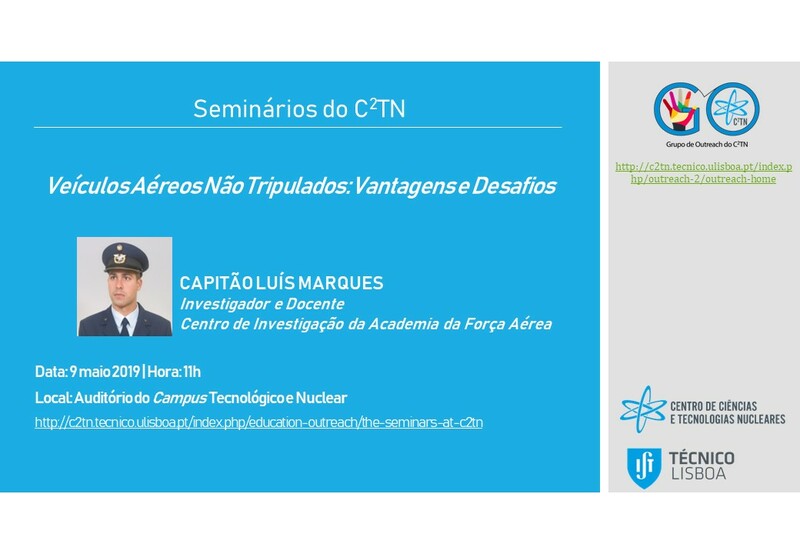 C2TN performs R&D, Advanced Training & Education, Consulting and other Services in Nuclear Sciences and Technologies, being a strategic Unit for the Portuguese R&D and innovation policies in this area. The Center is recognised as Excellent by the national funding agency FCT. Research activity carried out based on research programmes with clearly defined objectives and strategies, as well as working and evaluation practices, in a continuous improvement of the quality of the human resources and research. Active participation in Technology Platforms, consortia, networks of excellence, clusters, international organizations and associations , fostering collaborative and cooperation links . C2TN operates a long list of own research facilities and equipment. In addition C2TN researchers can easily access other in Campus facilities, some of which are unique in the Country.